Jyle offers a discount of 50% on their first / introductory lesson! I am Jyle, 25 years old, holding a degree in Bachelor of Science in Economics from one of the top universities in the Philippines. English is one of the two official languages in the Philippines thus I grew up speaking, reading and writing (all our school books except for one Filipino subject are all written in English). I also have knowledge in teaching music or teaching musical instruments. I have learned playing the piano since I was six years old and playing the guitar since I was 12 years old. 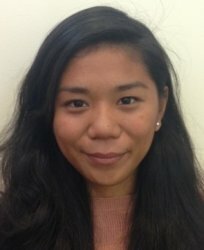 I have been an English tutor/teacher for almost four years in an ESL (English as Second Language) school where I have taught Chinese, Koreans, Taiwanese, Russians, Spanish, etc. and I also did private tutoring on the side. I always make sure that my students are having fun while learning as I believe it's the best way to absorb knowledge. Most of the time, I apply my lessons/teaching in practical ways such as observing the environment, keeping up with current events and talking about interesting social issues and the like.